Chocolate and cherries: the idea behind it might be simple, but the reality of it is anything but. 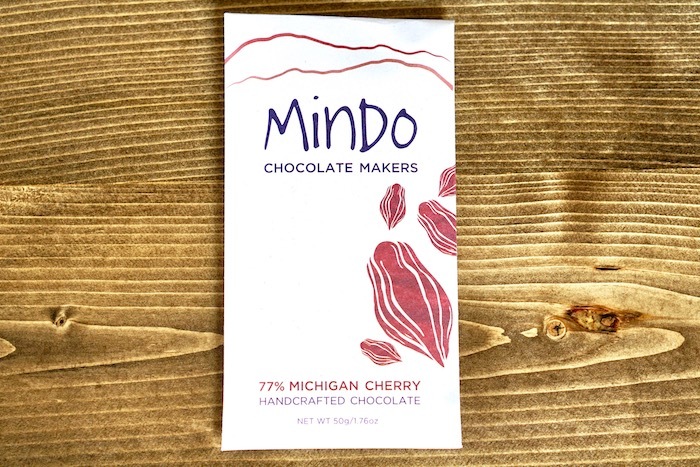 Mindo's take on the classic pairing of dried cherries with 77% dark chocolate is as complex as a glass of good red wine. First you get the bright chocolate, immediately followed by the bursting flavor of the cherry - the two blend together and mellow out with a rich finish. A true taste of Michigan - Traverse City cherries straight from the farm, handcrafted chocolate from Dexter, straight to you.